Once upon a time, there were two akin souls drifting helplessly in the sea of creativity without a single chance for a save haven to awake a story. Thanks to the non-profit association ArtMacoro their journey found a certain end in 2011 as it brought the artist Carina Tepper and the author Nathalie Wojta together. 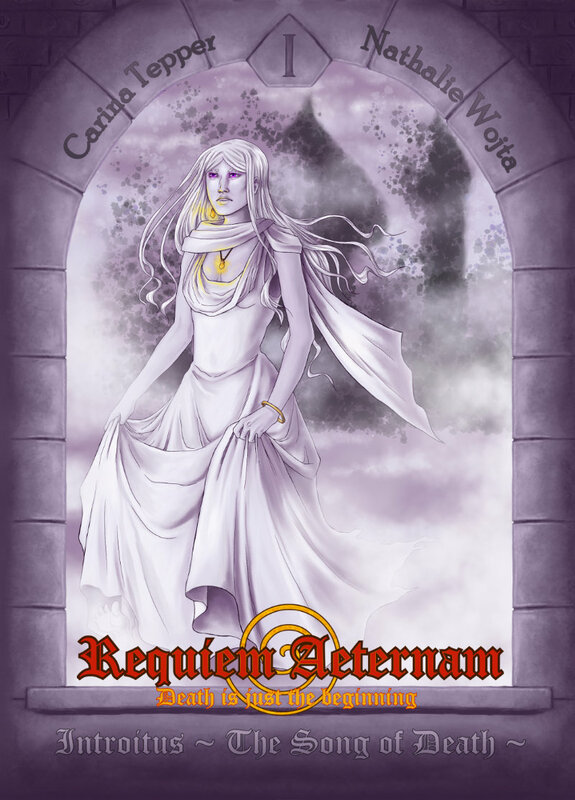 Carinas eye for details as well as her comic-like style was a perfect match for Nathalies metaphor-peppered storytelling and thus the steam-fantasy project “Requiem Aeternam” was born. They are building a complete new world, where a mutagenic radiation exacerbates life and nourishes intolerance as well as racism. Within all the turmoil stand five women who secretly bear the only passage for the souls of the deceased to return to their hometown, but dark forces rise and are about to threaten the whole of existence. It is an epic story, filled with deadly intrigues, cute ghosts and a mysterious old man who might be either an idiot or a god. Beside their story, both artists engage themselves within the non-profit organization ArtMacoro, where they published several projects and help other creators to develop their skills.